Whether or not one considers Super Mario 3D World a "true" 3D Mario isn't relevant here. What is relevant is that Super Mario 3D World is a benchmark of tight, responsive platforming, extremely creative level design, and gorgeous visuals. 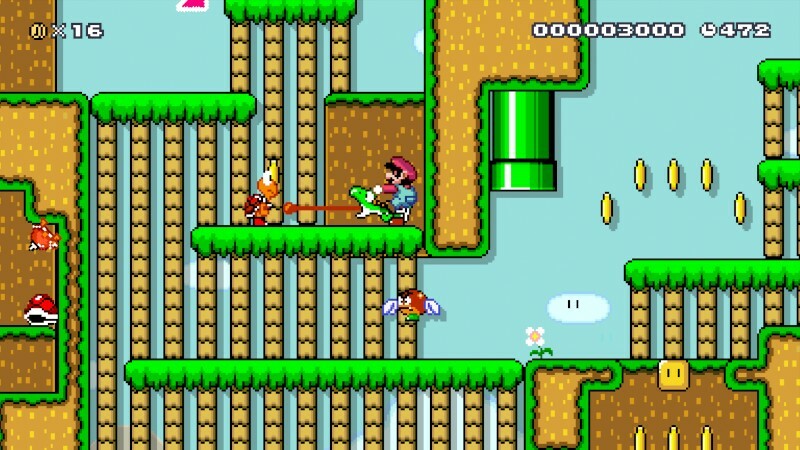 The new Cat Suit offers a lot of fun, allowing Mario and friends to climb up walls and claw enemies into submission. 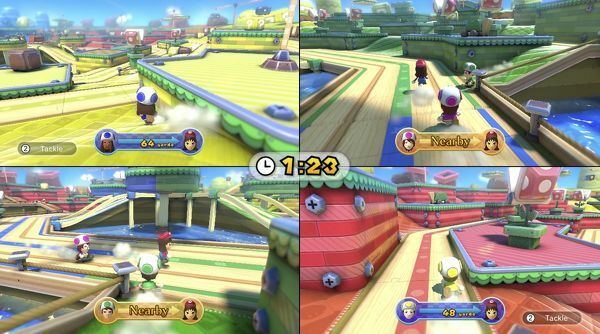 Speaking of Mario and friends, you can gather up to three others to engage in some very enjoyable local multiplayer. While it doesn't reach the same heights as one of my favorite duo of games of all time, the Super Mario Galaxy series, Super Mario 3D World is in a league of its own in the 3D platformer realm. A game with one of the best season passes around, delivering 16 new and remixed tracks for a low price, Mario Kart 8 introduced anti-gravity sections into the game's numerous courses, bringing an F-Zero feel to the Mushroom Kingdom cast. The new races themselves are some of the best designed the Mario Kart series has yet to see, the wide assortment of racers gives you plenty to choose from, the kart customization is immense, and the soundtrack is fabulous and catchy. Online is still as great as ever, allowing up to 12 people to take on another over the World Wide Web. 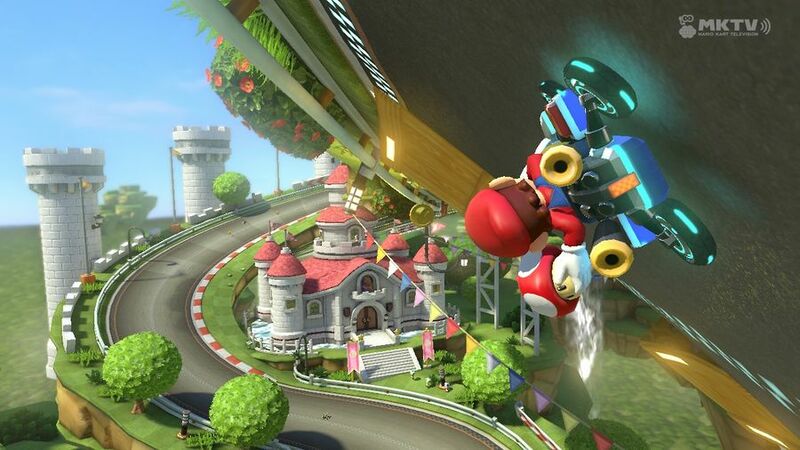 Mario Kart 8's only weakness is its battle mode, but even then, one can find great fun in it. What I consider the greatest Smash Bros. yet, Super Smash Bros. for Wii U delivers in its impressive cast with characters that almost all play differently from another, not an easy task with over 50 on the roster! The stages are as wacky as ever, but this time gimmick-free Omega stages are available for more competitive types out there. Overflowing with different modes to engage in, Super Smash Bros. for Wii U offers a massive amount of hours to unlock all of its content, from trophies to music, characters to stages, this love letter to Nintendo fans and fighter loves in general is a huge and highly entertaining undertaking. 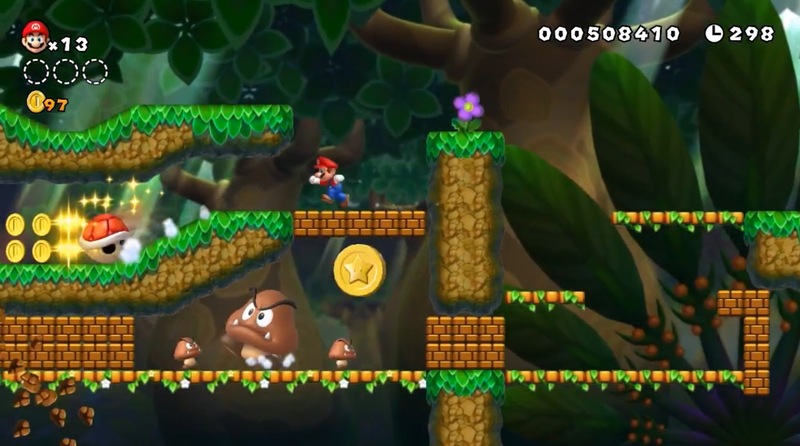 Wii U launch title New Super Mario Bros. U and its downloadable content starring everyone's favorite timid plumber, New Super Luigi U, offer some of the greatest designed levels in 2D Mario history. I realize that the visual style of the games isn't the most popular, which has soured some on the New Super Mario Bros. series, but looking beyond that, you get a duo of platformers (with New Super Luigi U being the hardest, even with its much shorter levels) that feature fantastic level design, many hidden secrets, and the creativity that you expect from the Mario franchise. Get four players in the same room to experience some hilariously good times. 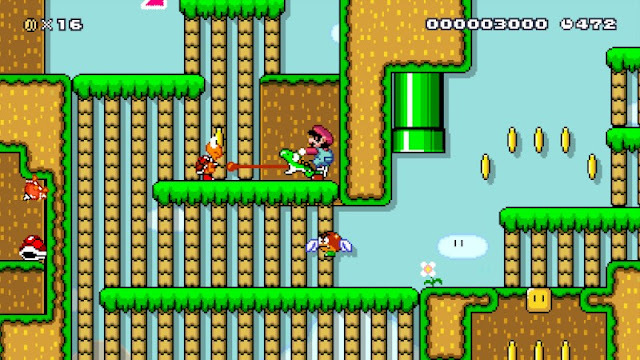 Long before Super Mario Maker, there have been numerous unofficial ways to create levels for the Super Mario Bros. series online. However, all of these don't have the simplicity and depth that Super Mario Maker's level creating tools possess. Create creative levels in Super Mario Maker, Nintendo's easy to use and accessible level creator that allows users from all around the world to share their levels. Play levels of many shapes, sizes, and types to get inspiration for your own creations. This game is being updated constantly with new features and character costumes, making Super Mario Maker a piece of software that I personally consistently return to. A relic from the GameCube era, The Legend of Zelda: The Wind Waker suffered from several problems in its initial release. 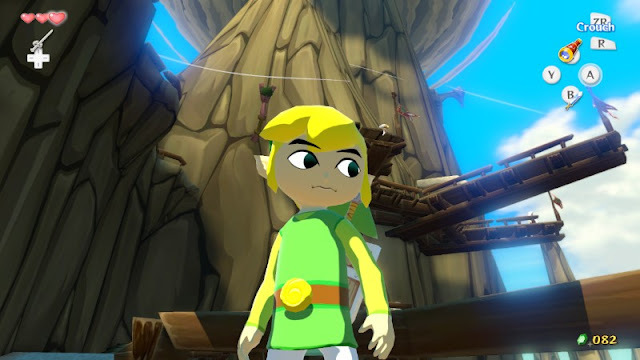 With this HD remastering on Wii U, The Wind Waker gets a second chance in the spotlight and fixed problems for added convenience, such as the GamePad serving as a means to switch items on the fly. It can also be used to aim items with its useful gyroscope technology. Then, there's the Swift Sail that makes ocean travel far less tedious than it once was. Finally, the infamous Triforce hunt near the end of the game has been made easier to complete. The Legend of Zelda: The Wind Waker HD is all around a better game compared to the original, and it's very much worthy of a second look. Speaking of second looks, The Legend of Zelda: Twilight Princess HD recently got a remaster on the Wii U, and like The Wind Waker HD, it, too, has massive improvements to make for a better experience. 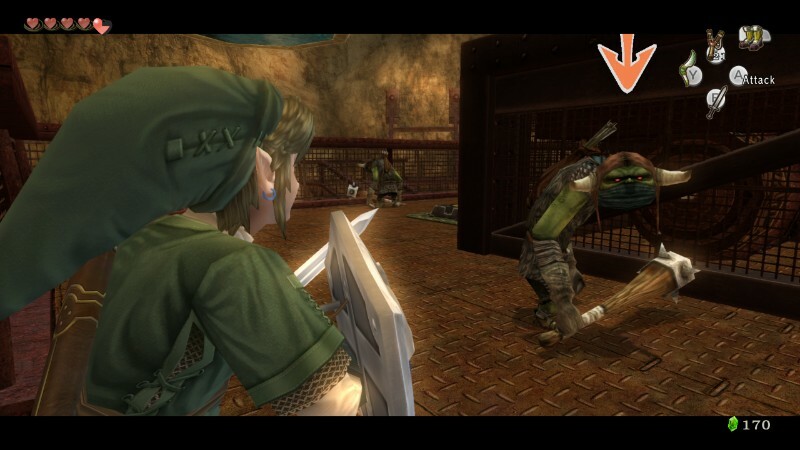 For one, there is no more need to return Rupees to treasure chests for when your wallet doesn't have room for them. This makes finding treasure chests in dungeons and on the world map actually worth it. In addition to that, Miiverse stamps have replaced some Rupees in treasure chests, meaning that there is a greater reason to explore the world map if you care about completing Twilight Princess HD 100%. Throw in convenient GamePad options, and you have a remaster that is what I consider the definitive version of one of Link's most popular adventures. Perhaps I'm biased since I love The Legend of Zelda series, but Hyrule Warriors is without a doubt my favorite Dynasty Warriors-like game. With a robust roster of characters that each play differently, many touchstones of the Zelda series included in the game (such as finding treasure chests on the field, taking on bosses like King Dodongo, and much more), and hundreds of hours of gameplay to unlock everything, Hyrule Warriors is an absolutely massive game to conquer, especially with all of the DLC available for the game that adds more to already sizable game. There was plenty of disappointment when it was revealed that Retro Studios' next game was a sequel to Donkey Kong Country Returns instead of Metroid Prime. 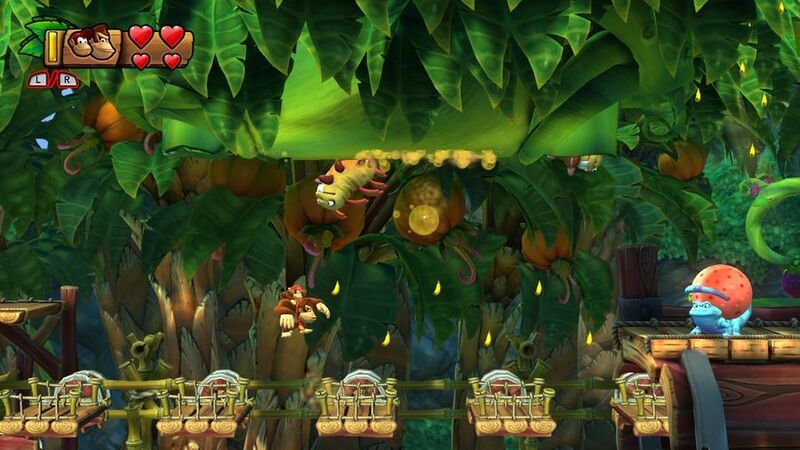 However, Donkey Kong Country: Tropical Freeze is Retro Studios at its best, giving players immaculately crafted levels, a high and welcomed difficulty, and one of the best 2D platformers ever created. Seriously. David Wise returns from a long absence from the series to bring an absolutely fantastic soundtrack, full of catchy tunes to bop your head to as you defeat enemies and overcome obstacles. The local cooperative play allows two players to enjoy Tropical Freeze's six worlds together. Overall, Donkey Kong Country: Tropical Freeze is a delightful 2D platformer that shows how great a developer Retro Studios really is. A game that I recently put ahead of Yoshi's Island, Yoshi's Woolly World more than makes up for the inferior sequels of the Super Nintendo classic. 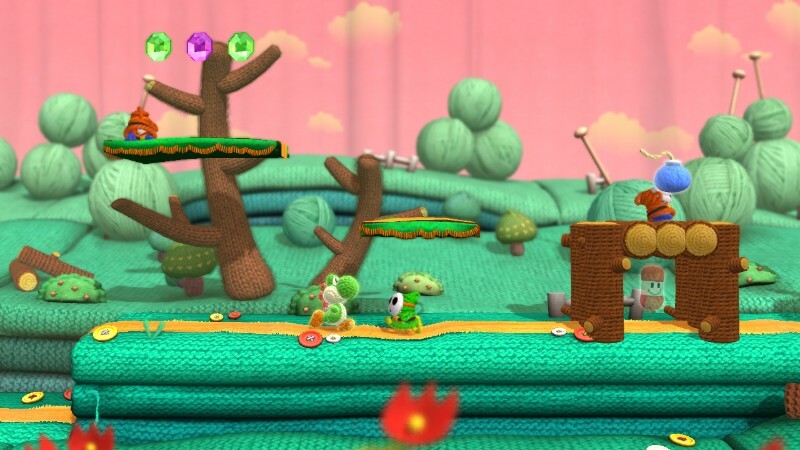 Woolly World is charming from the word "go", offering beautiful yarn, fabric, and wool characters and backgrounds. The level design hearkens back to the Super Nintendo original Yoshi's Island, full of creative design, secrets, and obstacles. Each level is a present to the player. The host of unlockables and collectibles will have players coming back for more, and the cooperative gameplay allows two friends to enjoy the game together. All of this adds up to one platforming adventure that is the best Yoshi has ever starred in. Plus, you don't have to hear the cries of a lost baby! Big plus! The sequel to the brilliant Kirby Canvas Curse, Kirby & the Rainbow Curse doesn't work as well on the Wii U, forcing the player to look at the standard definition GamePad screen instead of the gorgeous HD of the television screen, but the game is a highly creative one where players draw lines to guide Kirby through an assortment of obstacle and enemy-filled stages. The large amount of collectibles means that replay value is here. The star of the show is truly the claymation visuals that look glorious in HD or even SD. 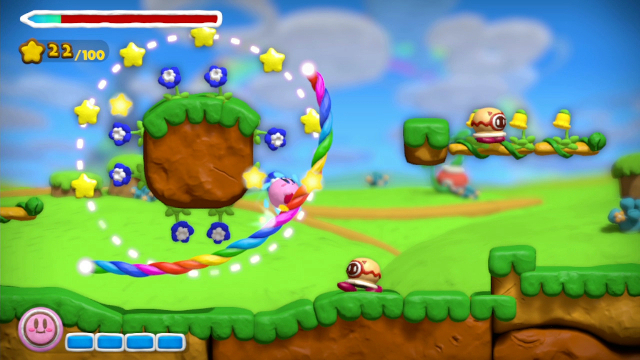 What you get with Kirby & the Rainbow Curse is a game on a budget price that is bursting with creativity and charm. 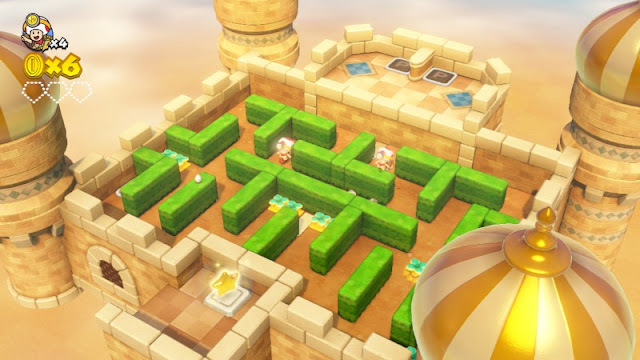 Another budget priced game, Captain Toad: Treasure Tracker stars Captain Toad and Toadette in a treasure hunting expedition through a wide range of isometric levels. The goal of each level is to acquire the Power Star placed in a usually precarious location. Outside of that, there are collectibles to hunt and level challenges to complete, adding to the replay value and longevity of this adorable game. Throw in the absolute charm and gorgeousness of the graphics, and you have a puzzle-platforming adventure that you absolutely need to play. Remember when many a-gamer assumed that Splatoon would be lucky to sell a million units? Ah, good times! In all fairness, pretty much no one expected Splatoon to be the breakout success that it has become. This creative third-person shooter from Nintendo has players shooting paint onto floors, walls, and wherever else to create pathways that the squid kid stars can travel in. The main goal of the team-based multiplayer is to cover as much of the floor in your team color's paint as possible before time runs out. 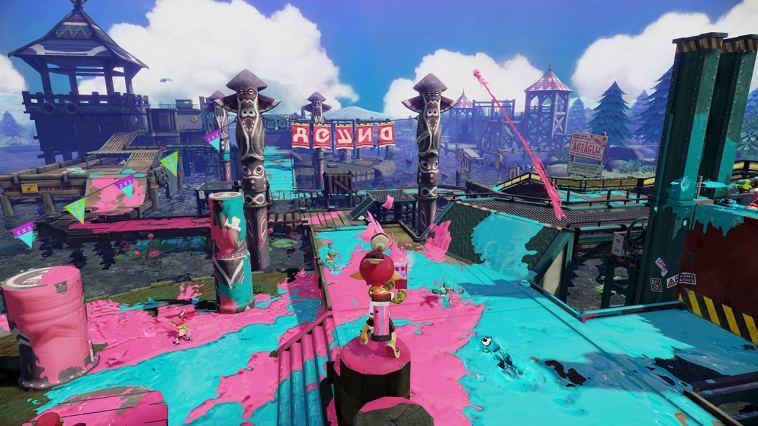 The addictive nature of the game in both the fun single player and the robust multiplayer means that you'll be playing Splatoon long after the updates to the game have ceased. Speaking of which, THIS is how you do a roll-out of online content, Capcom. A launch title for the Wii U that put the GamePad to fantastic use, Nintendo Land is a collection of attractions based on famous Nintendo franchises that is a lot of fun whether you're playing solo or with friends. 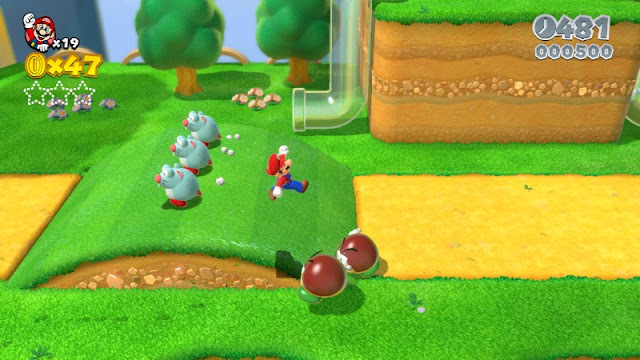 The asymmetrical gameplay of attractions like Mario Chase, Animal Crossing: Sweet Day, Luigi's Ghost Mansion, and Metroid Blast, for starters, showed Nintendo's trademark innovation and amazing multiplayer gameplay. The different uses of the Wii U GamePad truly shined in Nintendo Land, whether it was carefully tilting the controller to guide a cart around in Donkey Kong's Crash Course or launching ninja stars at foes in Takamaru's Ninja Castle. Nintendo Land is a fantastic celebration of Nintendo's franchises, even if opinions on it were initially soured on it due to a poor E3 2012 reveal. Introducing three new playable characters as the stars, allowing players to split up tasks between them, new Pikmin types, and multiple new areas to explore, Pikmin 3 brought Shigeru Miyamoto's franchise to the Wii U in a big way. My preferred control method of playing Pikmin 3 was using the Wii U GamePad to direct my Pikmin squads to various places on the game's maps while using the Wii Remote to point and throw Pikmin on selected targets. The game itself is beautiful, bringing forth various vistas in pleasant HD glory. 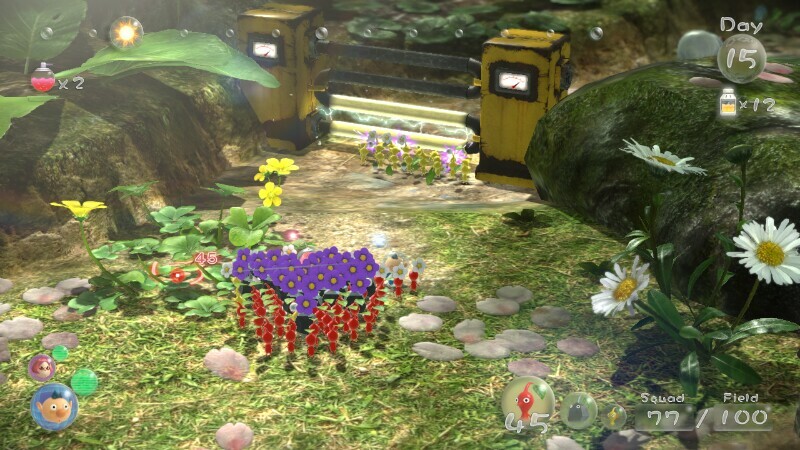 The photo mode enabled with the GamePad allowed players to take in the gorgeous scenery and graphics of Pikmin 3. Now that the game has been recently reprinted due to the Nintendo Selects line, new Wii U owners can finally get a taste of what Pikmin 3 owners have been experiencing all this time. 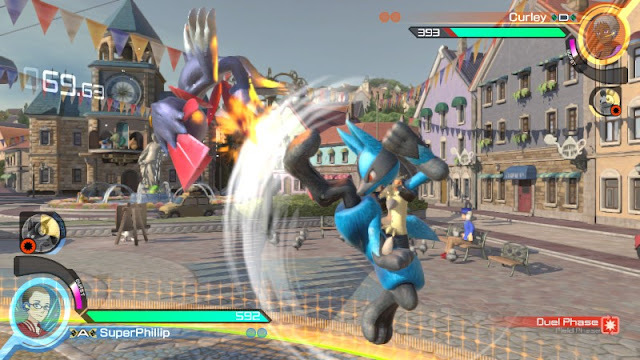 A joint creation between the minds behind the massive Pokemon series and the fantastic fighting game franchise Tekken, Pokken Tournament is a fabulous fighter that pits Pokemon against Pokemon in intense arena combat. The roster may be light, but each Pokemon plays differently without a clone character to speak of. While the solo mode isn't heavy in content, it does offer ways to teach players to use each Pokemon in a safe setting. Then, when they're ready, they can hop online in lag-free matches against opponents the world over. Combat feels fast, frenetic, and intense, just like the Tekken franchise that Pokken Tournament is obviously modeled after. If you're looking for a highly capable fighter, not just on the Wii U but in general, Pokken Tournament is the fighter for you. 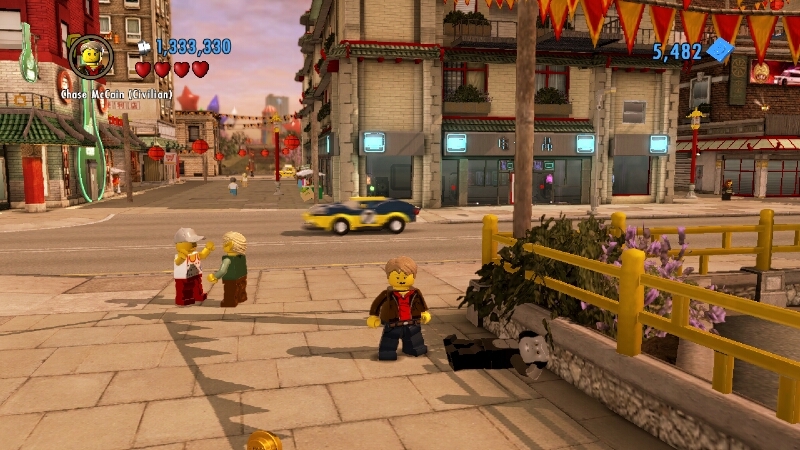 Possessing highly humorous dialogue, an original location, and plenty of items to collect, LEGO City Undercover is without a doubt my favorite LEGO game in the series. The titular city is immensely dense, full of things to do, collectibles to find, and secrets to uncover. The story, starring Chase McCain, is packed with humor from beginning to end, doing parodies of a wide variety of pop culture icons. The 35+ hour play time of LEGO City Undercover goes by quickly as you'll find yourself enjoying everything LEGO City has to offer. It's a game that if you can tolerate the initial load time, is a wonderful game and the best the LEGO video game franchise has to offer. Essentially an HD remastering of the Wii phenomenon Wii Sports, Wii Sports Club originally launched on the Wii U in a silly fashion. 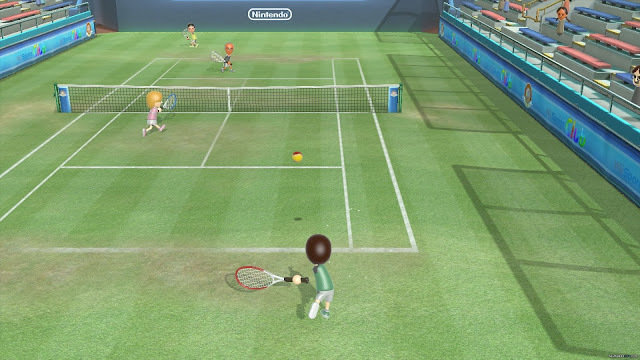 The game was split up into five sports (tennis, baseball, boxing, golf, and bowling) which could allow players to do a free trial and then download them. Eventually, all five sports were put in a single collection on disc. The end result is a game that plays great with the added benefit on Wii MotionPlus, giving an increased feeling of realism (and challenge) compared to the vanilla Wii Remote release. Wii Sports Club offers more with its online play, allowing players from around the world to challenge one another in different competitions. All in all, Wii Sports Club is a grand improvement over the Wii original, which was already a superb piece of software. 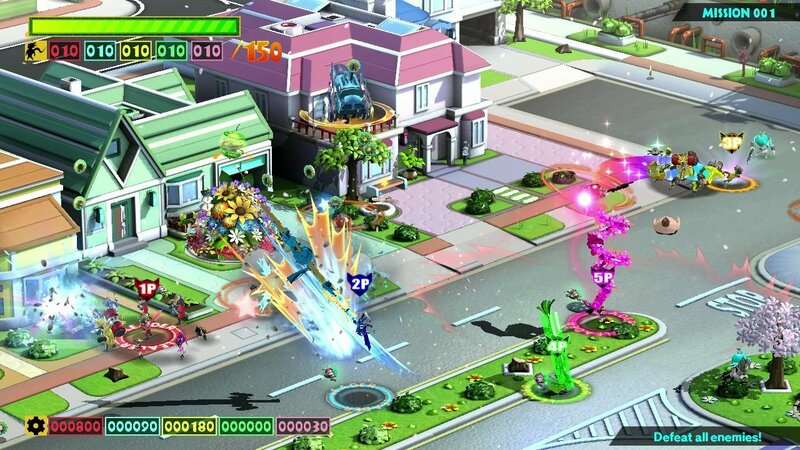 Under helm by the excellent Hideki Kamiya (Bayonetta, Okami, Viewtiful Joe), The Wonderful 101 is a game where players control 100 superheroes that can unite together to create a robust lineup of forms such as a giant, pulsating hand, a gun, a whip, and other means to take down foes. Despite overextending itself into some tedious gameplay portions (such as a laborious shoot-em-up section), The Wonderful 101 still remains an excellent, if not punishing, game. The game has all the action and depth that you'd expect from a Platinum Games developed title with more increasingly crazy and off the wall scenarios, all leading up to one of the most manic endings to a game. If that doesn't excite you, then well, you might be dead inside. Speaking of Platinum Games and Bayonetta, the reaction when Nintendo announced that Bayonetta 2 was a Wii U exclusive was embarrassing at best with some who would rather the game not exist than appear on a Nintendo platform. Yes, if you haven't guessed it by now, gamer culture can be very pathetic. 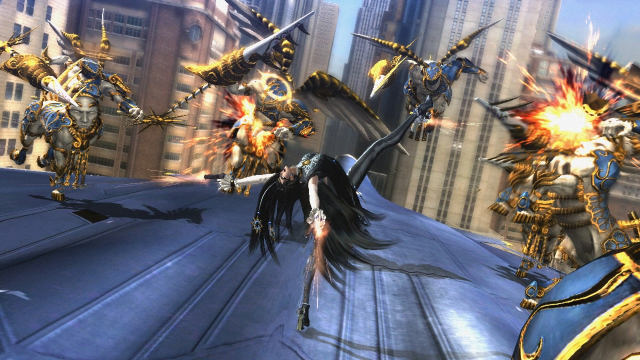 Regardless, not only did Bayonetta 2 arrive on the Wii U, but so did the original, offering Nintendo-cenrtic costumes for the femme fatale. This pair of character action games is some of the past the genre has seen, and they play beautifully on the Wii U. 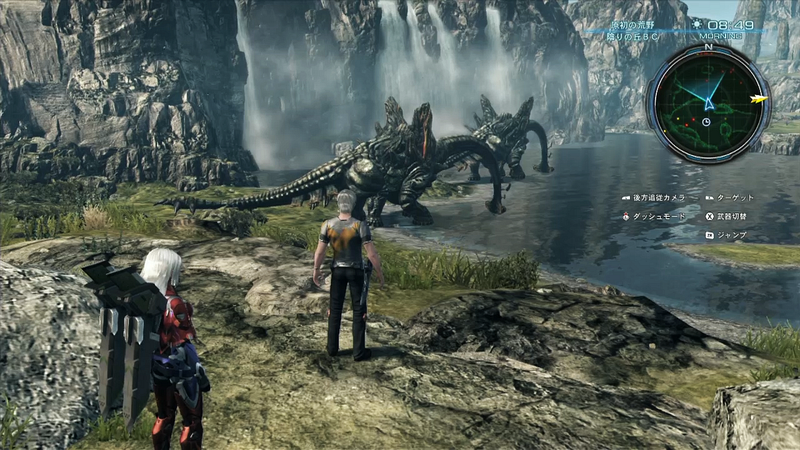 Explore an immense world (and even then, "immense" probably doesn't cover it) by foot or later by giant mech in Xenoblade Chronicles X. Face off against beasts and monsters both small and colossal in intense combat, and complete quests of all shapes and sizes in this RPG that feels like an offline MMORPG. While I prefer the original Xenoblade Chronicles to this Wii U sequel, X still possesses so much to do, so much to explore, and so much to complete. Although the game's various systems can be confusing at first, once you learn them, you'll find a game that you can easily lose yourself in for hours at a time. I consider the Wii U version of Rayman Legends to be the definitive one due to it not only being the main version of the game, but also due to the Wii U's Invasion levels and its Murfy sections, where the Gamepad player manipulates a given level's environment with the touch screen to assist the other players' progression. 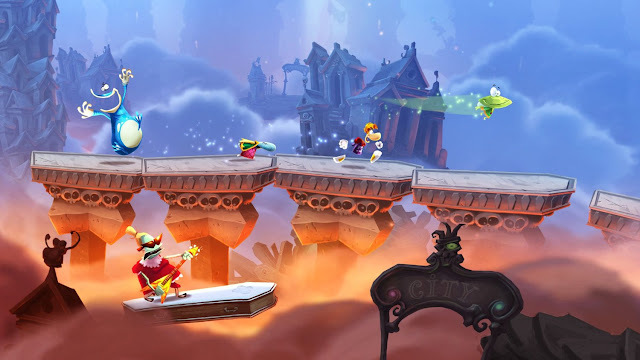 Rayman Legends not only offers those Murfy levels, but the traditional levels are as excellent as ever, housing many secrets and platforming challenges. In addition to all of that, many levels from Rayman Origins have been ported over to Legends, making a big game even bigger. Though many Monster Hunter players have moved onto the Nintendo 3DS's Monster Hunter 4 Ultimate, the Wii U's Monster Hunter 3 Ultimate still sees many players participating in solo and online hunts against behemoth-sized monsters. 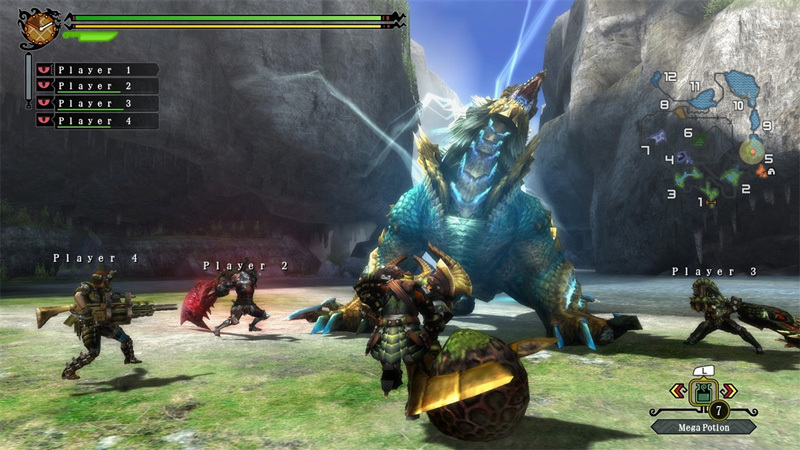 The Wii U version of Monster Hunter 3 Ultimate is the sole one with online play. 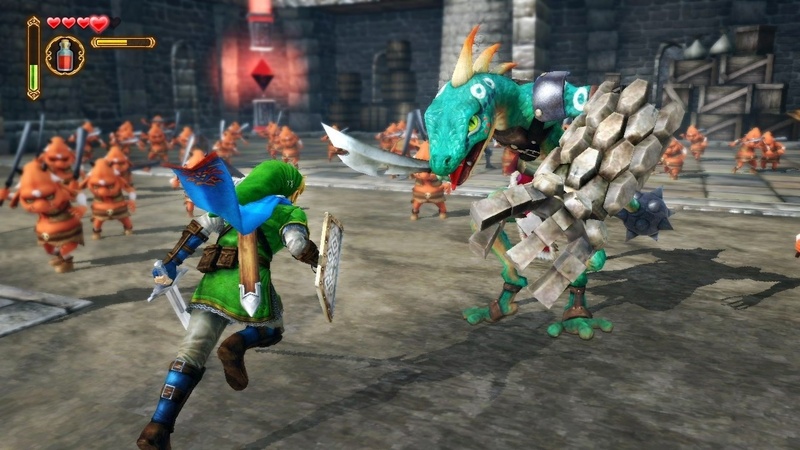 Players can link up the Wii U version to the Nintendo 3DS version and vice versa to transfer their hunter, taking their character on the go if they so prefer. If you can overcome the annoying underwater hunts, then Monster Hunter 3 Ultimate is still very much worth playing. With Deus Ex: Mankind Divided on its way later this year, why not touch on its predecessor, one that plays brilliantly on Wii U thanks to its myriad of GamePad-exclusive features? This is one Wii U port that is done right, using the system's features to fantastic use, such as utilizing the GamePad as the radar, the infolog, a tool to write notes on, touch screen looting, and so much more. This Director's Cut version features improved boss battles, a sticking point of the original, increased enemy intelligence, and visuals that surpass the already excellent original's. 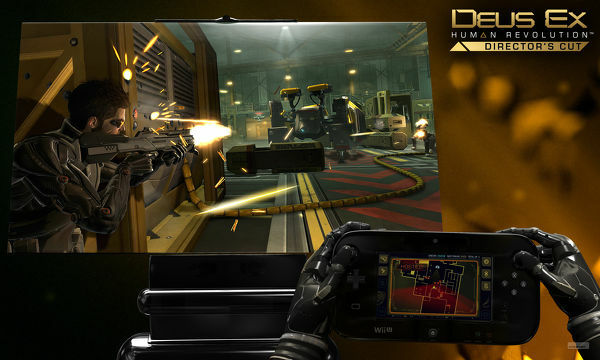 Few Wii U third-party ports can be seen as better than the competition, but in Deus Ex: Human Revolution - Director's Cut's case, it really is. Despite given a PlayStation 4 and Xbox One version, ZombiU's Wii U original is still definitive version. This game has you playing a survivor of the zombie apocalypse in London. One rampant zombie bite is all that it takes to turn you into the walking dead. You then lose all of your equipment and become a new survivor with the option to hunt your old character, now a zombie, to get back your goods. I call ZombiU the definitive version of the game due to the tense feeling you get when you're organizing your Bug Out bag via the GamePad screen while occasionally looking up to see if there are any zombies near you, as this all happens in real time. The anxiety you feel during this process can't be replicated in the PS4 and Xbox One versions, nor can the various other GamePad-exclusive features the Wii U version has. 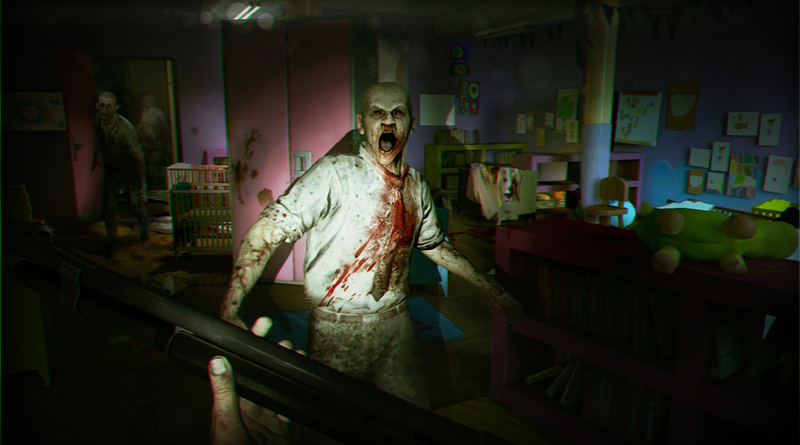 These reasons are why I prefer ZombiU to the PS4's and Xbox One's Zombi.